Engineered for the toughest environments. 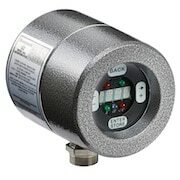 ​Honeywell Industrial Flame Monitoring (IFM) offers reliable, durable and flexible solutions for the most challenging applications and toughest environments. Engineered for the unique demands of industrial processes, Honeywell IFM products are designed for the highest level of function and flame discrimination. Remote configuration, monitoring and diagnostics, as well as multiple sensor options, make Honeywell the ideal solution for a wide array of industrial processes and applications. See the full range of Honeywell IFM Products.